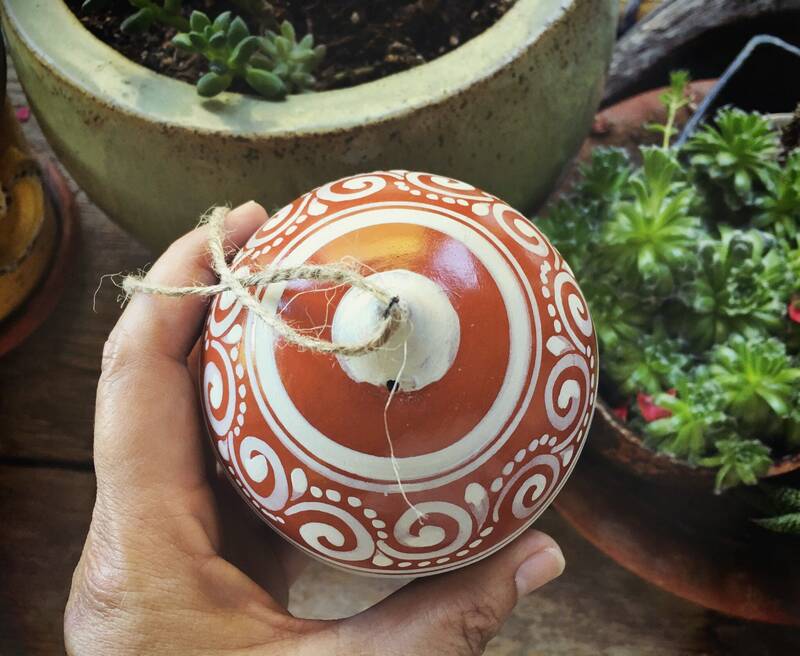 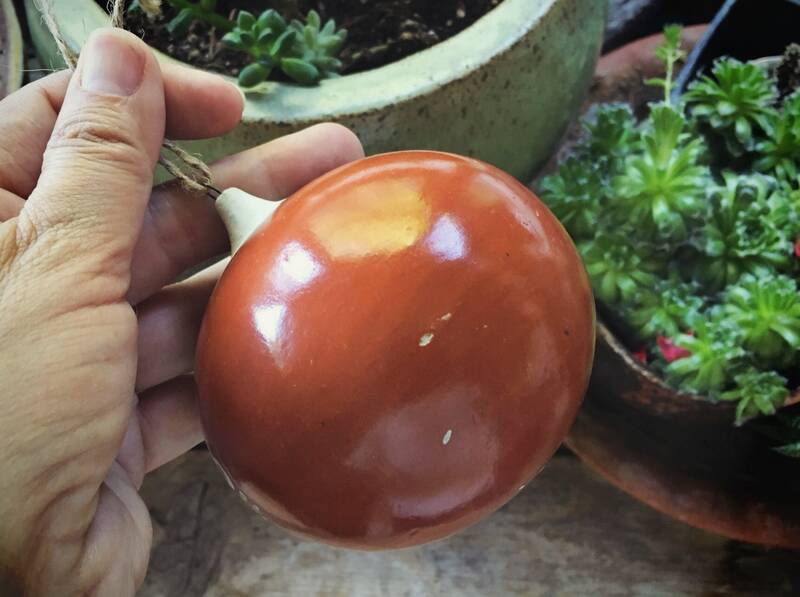 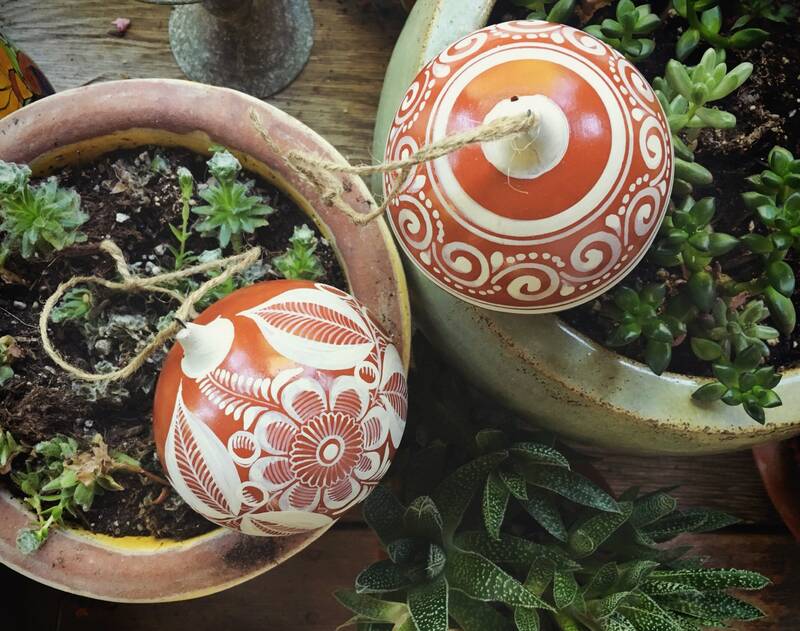 These beautiful ceramic ornaments come from Tonalá, Mexico, and are in the burnished pottery style typical of the area. 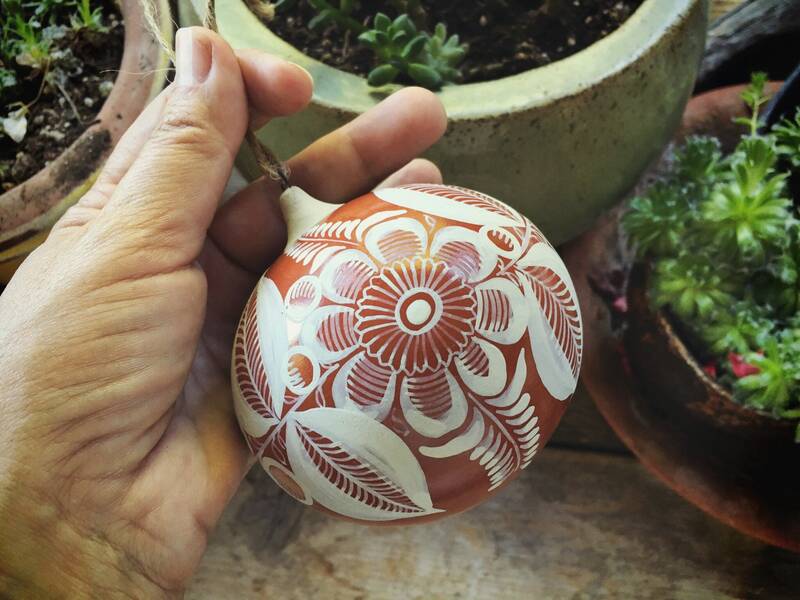 The traditional terra cotta colored clay is painted with a white decorations, then hand rubbed with a tool after firing to get that glossy looking finish. 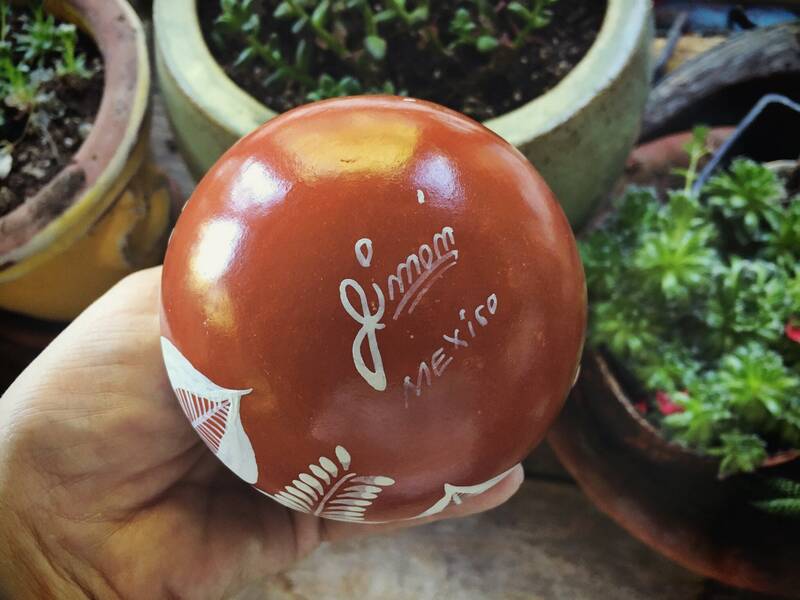 Signed Jimón, they come from the multi-generational Jimón Barba family, led by master potter Florentino Jimón Barba, who is featured in the book "Great Masters of Mexican Folk Art." 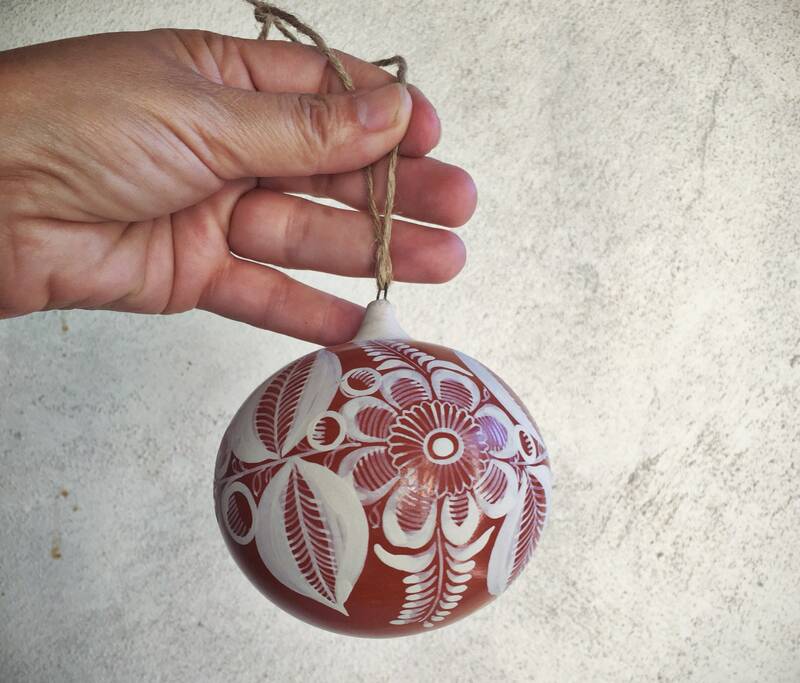 The more ornate ornament with the flor de Tonala is by the master himself, and the less ornate possibly by a son. 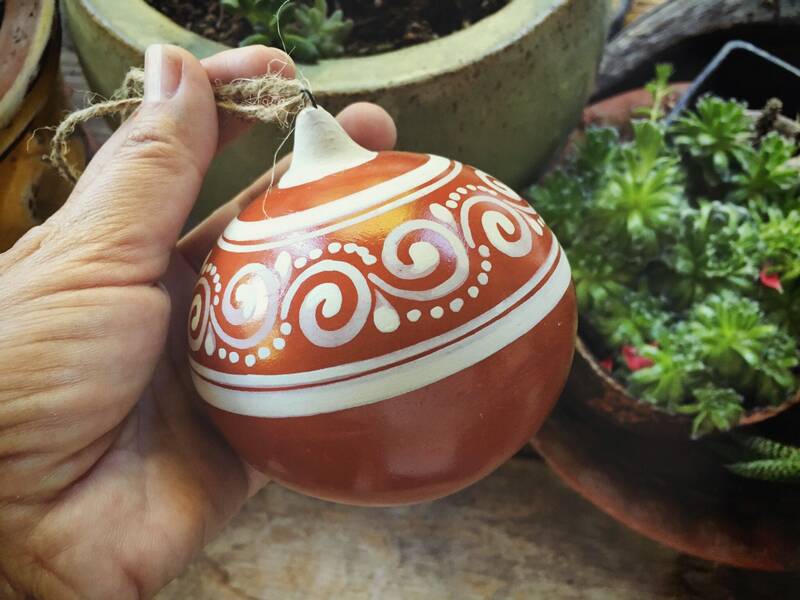 The ornaments are about 3-1/2" in diameter and 3" tall. 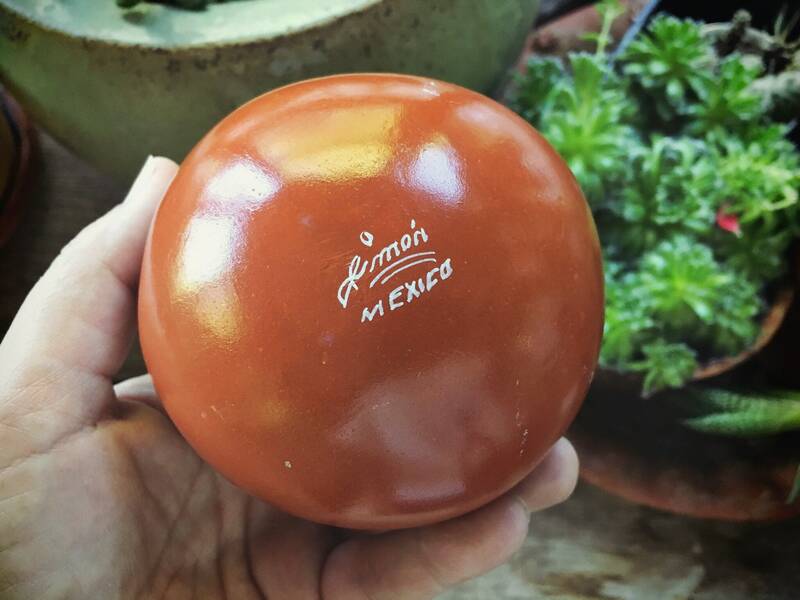 No cracks nor chips. 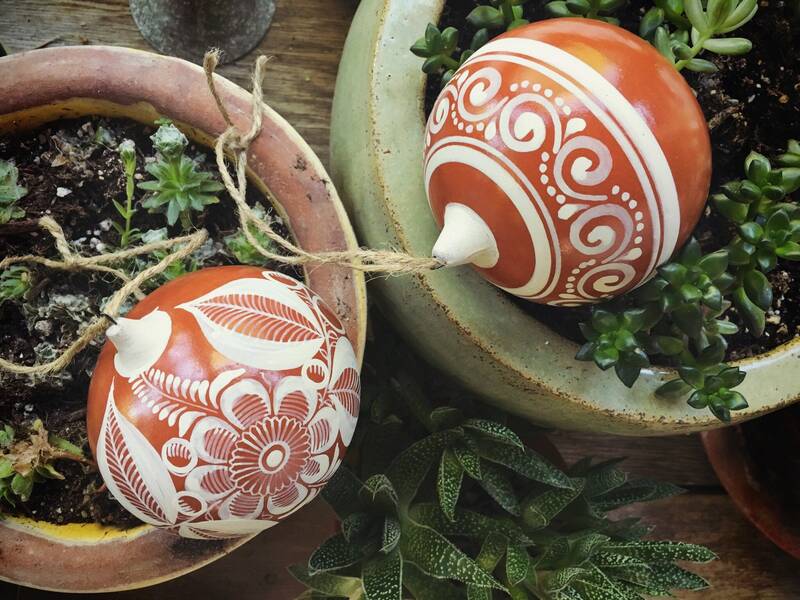 For a rustic and beautiful Mexican Christmas.